01142013_Becherer_Egypt008: Global News Events: Global News Portfolio: New Orleans based Photojournalist covering the Deep South and beyond. CAIRO, EGYPT. 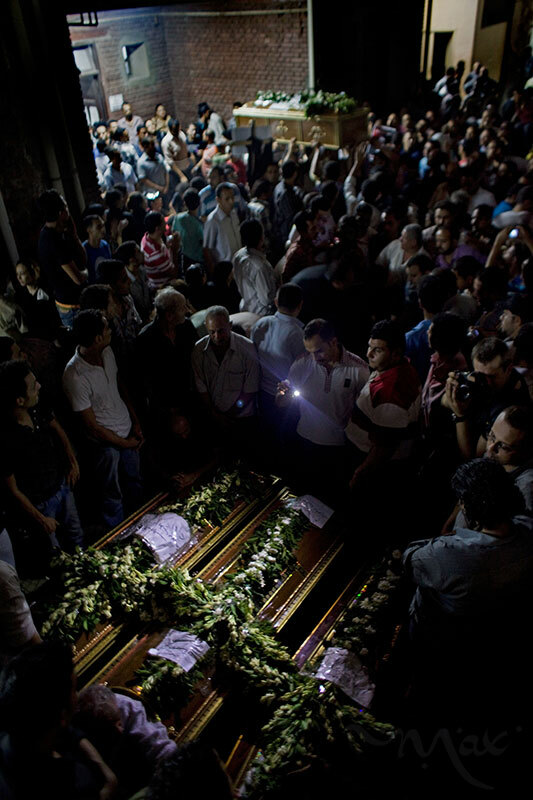 Coptic Christian Egyptians mourn more than a dozen killed during clashes with the Egyptian army late Sunday as the bodies are collected in coffins at the Coptic Hospital in Cairo, Egypt. The victims were killed during clashes at a protest by Coptic Christians demanding better protection and accountability for several church burnings this year.